According to the American Cancer Society, skin cancer is now the most common of all cancers in the United States. The good news is that skin cancer is highly curable when diagnosed and treated early by a skilled dermatologist. In almost all cases, treatment can be performed on an outpatient basis under a local anesthesia. We offer our patients today’s most advanced technology and surgical techniques for treating basal cell carcinoma, squamous cell carcinoma and melanoma. Squamous cell carcinoma (SCC) is a skin cancer that occurs in the uppermost layers of the skin, or the epidermis. SCCs often look like scabs, with a crusty patch growing on top of inflamed, red skin. 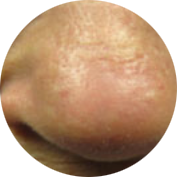 Primarily caused by years of UV exposure, SCCs are most commonly found on areas of the body that are exposed to the sun, but they can also develop on the inside of the mouth, nose, and genitalia. Basal cell carcinoma (BCC) is the most common form of skin cancer, affecting cells of the deepest layer of the epidermis. 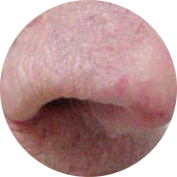 BCCs are abnormal growths that resemble a waxy bump, sore, or scar. The result of long-term exposure to the UV rays of the sun (or tanning beds), BCCs often occur on areas that have been most exposed, such as the face and neck. BCCs are slow growing and rarely metastasize. However, if they are not treated, they have the potential to become disfiguring and invade healthy surrounding tissue. Melanoma is the most serious form of skin cancer, and can be fatal if left untreated. It can occur anywhere on the body when the skin cells that produce pigment mutate and grow rapidly, forming a tumor that resembles a mole, or develops from a mole. Atypical moles (or dysplastic nevi) can sometimes mimic the appearance of melanoma, so schedule an examination to be sure. Be diligent about self-checking your moles and look for the ABCDE signs of melanoma, especially if you have ever experienced a sunburn or have a family history of this cancer. Melanoma is serious and can spread quickly to other parts of the body. The good news is there are many effective treatments for eliminating skin cancer. 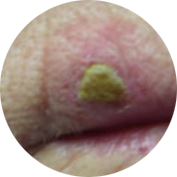 Early forms of basal cell and squamous cell skin cancer may be treated non-surgically using liquid nitrogen (cryosurgery) currettage, light-based treatments, laser treatments and topical creams. Surgical removal is also used to eliminate these cancers, by excision or by performing Mohs micrographic surgery. For patients who are poor surgical candidates, superficial radiation therapy may be recommended. If melanoma is diagnosed, and is in its earliest stages, a dermatologist may choose to surgically remove it in their office. However, if the melanoma has spread beyond the top layer of the skin, more extensive treatment will be needed. This often requires having the melanoma removed by a general surgeon or surgical oncologist, and may also include radiation, chemotherapy and/or immunotherapy treatments. Cryosurgery is a simple, non-invasive procedure in which liquid nitrogen is used to freeze and destroy growths on the surface of the skin. It’s an effective treatment for precancerous skin lesions (actinic keratoses) as well as a range of skin conditions, including warts, skin tags, and moles. Applying liquid nitrogen to skin lesions and growths allows our specialists to specifically target the damaged areas and destroy them at the cellular level. 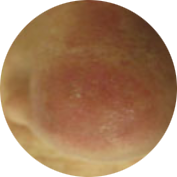 After freezing, the affected area will scab over and should heal within three to six weeks. Our team uses cryosurgery to treat a wide range of conditions. It offers a number of advantages: it’s a simple, affordable outpatient procedure, it’s mildly uncomfortable, and it has a low risk of infection. Mohs surgery is widely accepted as the most effective method for removing certain types of skin cancer, with a cure rate of 98 to 99 percent for basal and squamous cell carcinomas. Mohs surgery is performed by a skilled dermatologist, who removes the cancer in stages, layer by layer, while preserving as much healthy surrounding tissue as possible. Each thin layer of skin is examined under the microscope as it is removed in order to detect any remaining cancerous cells. If cancer cells are present, the surgeon removes another thin layer of the skin. This layer-by-layer approach continues until the cancer cells can no longer be found, removing the cancer down to its roots. SRT-100 Vision™ is the next generation of innovation in our team’s advanced technology for treating nonmelanoma skin cancer and keloid scarring. This treatment is ideal for patients 40 and older considering non-surgical treatment for their skin cancer or looking to minimize their keloid scarring. View the area being treated while it’s being treated. 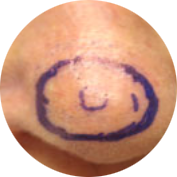 This “see and treat” capability allows basal and squamous cell carcinomas, as well as keloid tissue, to be thoroughly assessed and targeted even more precisely. 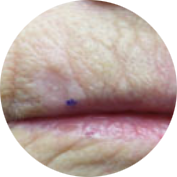 Examine and assess each of our patient’s lesions at the micron level. Define each lesion’s boundaries and margins to optimize patient treatment plans. Identify the field size to be treated, improving our patient’s cure rates. Determine and deliver beam depth as well as ensure precise positioning. 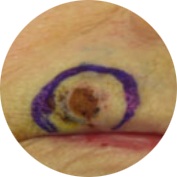 SRT-100 radiotherapy is an effective nonsurgical alternative for removing nonmelanoma skin cancer. During radiotherapy, skin cancer is destroyed through repeated brief exposure to low-energy radiation over multiple sessions. Penetrating below the surface of the skin, no deeper than five millimeters, this treatment targets only the skin cancer without harming the surrounding tissue, and it’s completely painless and greatly minimizes scarring. When skin cancer is removed through excision, a local anesthetic is used to numb the area and the cancerous growth is removed with a scalpel, along with a limited amount of the surrounding normal skin. The wound around the site of the surgery is then carefully sutured, and the excised tissue is sent to our lab to verify that all of the cancerous cells have been removed. Using this procedure, skin cancer is removed by scraping the area with a sharp looped-edged instrument called a curette. The cancerous area is then treated with an electrocautery needle to destroy any remaining cancer cells and help control bleeding. This process may be repeated a few times with a deeper layer of tissue being scraped and cauterized each time to help destroy all of the cancer cells. Curettage is commonly used to treat skin cancers found in the top layer of skin like basal cell and squamous cell cancers. This procedure is commonly used to treat squamous cell carcinomas found on the face and the scalp. A photosensitizing solution is applied to the area and absorbed by the abnormal cells. After a period of a few hours, intense pulsed light is used to activate the treated area and destroy squamous cell carcinomas while causing minimal damage to surrounding normal tissue. Laser treatments are used to treat basal cell carcinoma. During the procedure, we use precisely concentrated light from the erbium YAG laser to remove the skin’s outer layer and deeper tissue as needed to destroy the cancer cells.